I have recently done some SEO and analytics training and one of the things that came up was how to help Google find pages that are deep within the site? There are a number of ways, but one of the best ways is to use a combination of your onsite blog and your social profile to help Google find the page. During the training I used my trusty ipad, (yes, I am that cool) to try and illustrate the way it works. So here is the image and some commentary at the bottom to talk you through the steps. 3. 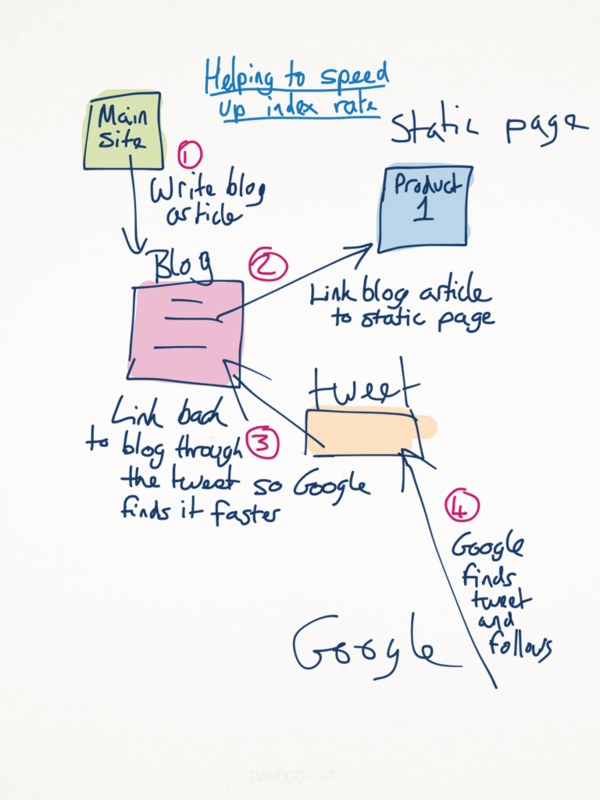 Once you have written the blog, linked it back to one of your internal pages, publish it. 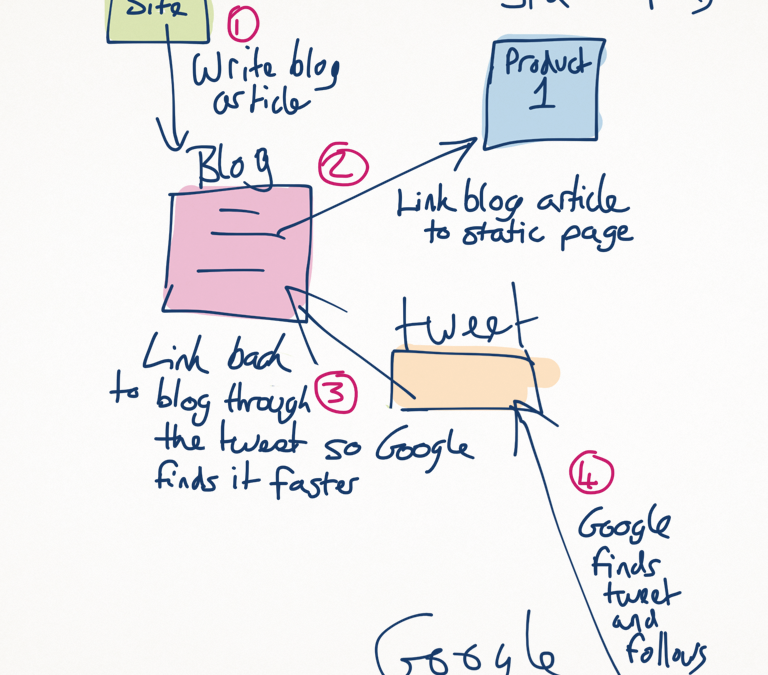 Then, use twitter to post out a link to the blog. 4. Google is really quick to index tweets, or at least it is quick to find them. It will then follow your link and pick up your blog article. All being well it should also find the page you have linked your blog back too.